The Dickinsons are always the talk of the town. And not in a good way. They have been called thieves, addicts, and even pirates—the town loves to talk. Agnes has always believed what they said about the Dickinsons, never giving it another thought. Until she meets Bo Dickinson, a fellow classmate. Bo is not like what they say; she is adventurous, polite and, above all, accepts Agnes for who she is. Agnes has lived a sheltered life under the roof of her overbearing parents. When Bo calls Agnes in the middle of the night to leave town forever, there is no hesitation. 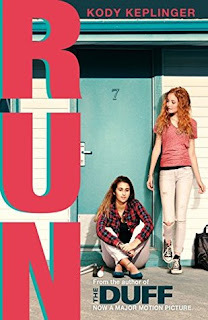 Run by Kody Keplinger is not about a road trip with two good friends, it is a story about a complex relationship which blossoms into several life lessons. The author of The DUFF and Lying Out Loud is back but not in the way you’d expect. 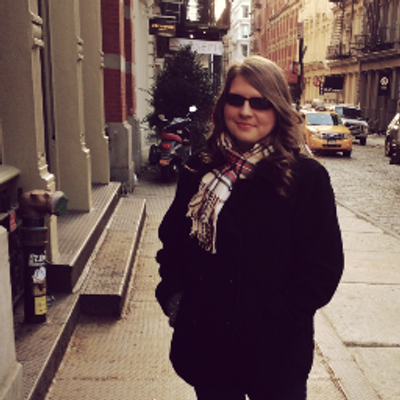 Kody Keplinger, in an attempt to remove herself from The DUFF world (which has been present in all her novels thus far), sets her story a little closer to home. 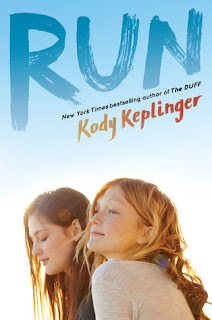 There are several elements of Run which will have readers guessing if the novel is a loose representation of Kody Keplinger’s younger years. Keplinger, herself, stated that the town in which Run depicts is very similar to the town she grew up in. Also, Agnes is legally blind—just like the author—which leaves readers wondering what other real-life similarities they can find within the work of fiction. This novel was supposed to be about this unbreakable bond between two best friends. Instead, I found the relationship between Bo and Agnes lacking in so many areas. The span of 304 pages does not give the reader enough time to see beyond the negative in their relationship. Keplinger creates their friendship out of thin air. As much as it strengthens by the end of the novel, all I could see was the toxicity of the two characters together. The story itself was ridden with clichés. The overbearing parents, the evil foster homes and the gossiping church-goers will be sure to give any reader a headache. Keplinger’s writing was superb. Run can be seen as a different side of what Keplinger can accomplish. Readers have experienced the comedy and romance of her other novels but Run delves much darker. Despite the fantastic writing, the slow plot which only flows through character development does not make for an awesome read. I recommend skipping this one and giving The DUFF another reread.